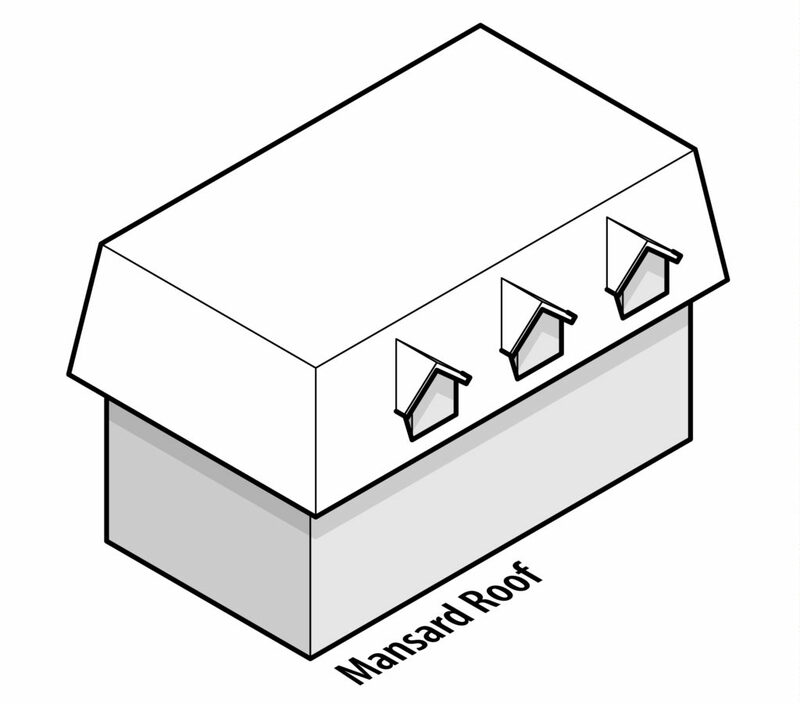 Illustration of roofs below show different pitches and types of roof styles. 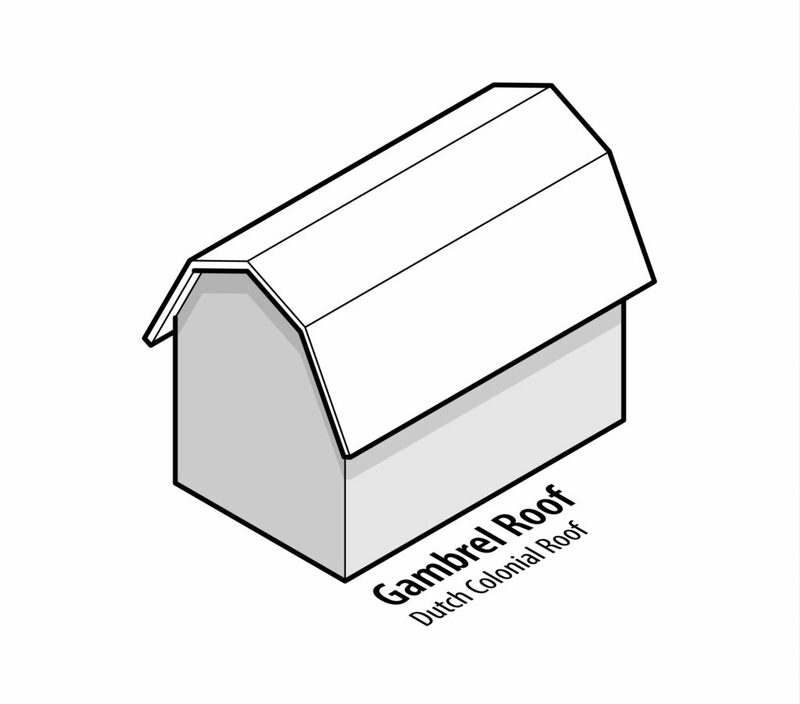 Also, the roof diagram graphic can display roof components on a roofing system. 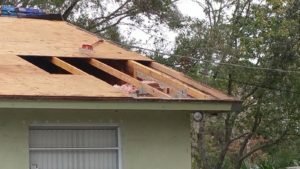 Furthermore, identifying the decking, underlayment, surface, drains, flashing, and other parts of a roof are helpful when diagnosing a potential problem with a roofing system. 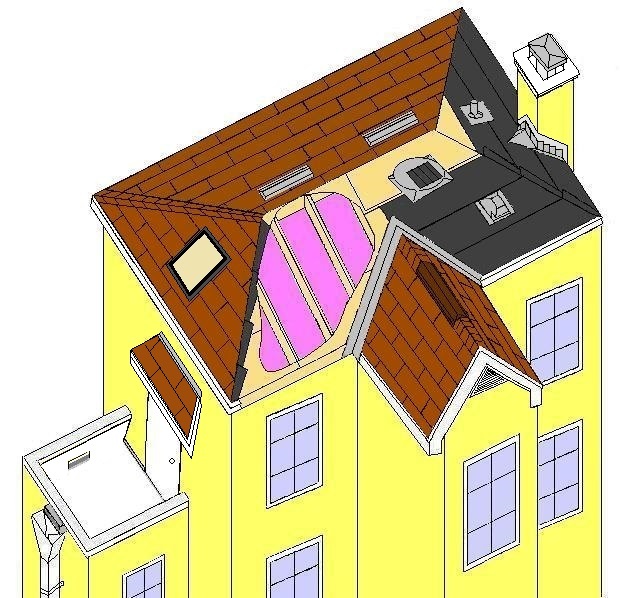 Therefore, we have provided the roof drawings below along with our interactive roof image below. Above all, having basic information of the parts and accessories on the roof will help provide a better knowledge of the overall roof structure. View our easy to understand diagram below. Click the different parts on the roof to learn more and see options available. 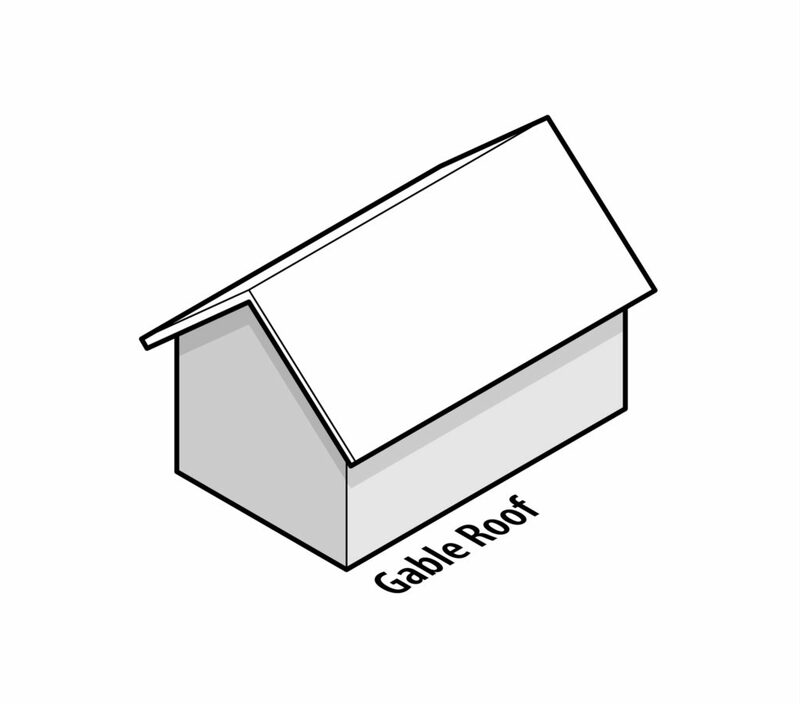 Roofing Dictionary, Term, Glossary for roof definitions and roof language. Available in Mill Finish, Gray, Black, White, and Brown. Vent that can be used as an air exhaust near top of steep slope roofs or intake vent when installed on a low sloped roof near the bottom. 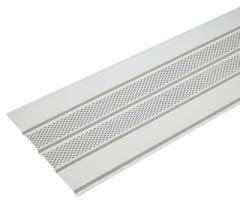 This vent has a low-profile design with an internal screen protects against unwanted pests. Traditionally installed just below the ridge of a roof giving it the name Off-Ridge Vent. 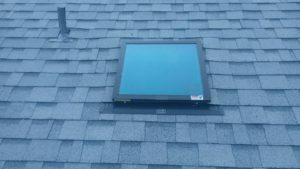 A fixed or vented window installed in a roof deck. Commonly transparent with a glaze, can also come with a tint. 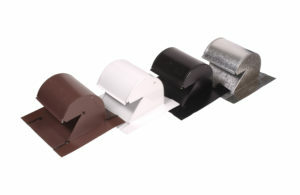 Available in a metal in colors: Brown, Black, White, Gray, or Mill Finish. Also available in a shingle over style but not recommended due to shingle loss during a wind storm. A vent that provide uniform cooling along the roof deck, installed over the ridge of the roof in place of roof cap to provide an exhaust vent from the peck of the roof line. Usually made of metal, however plastic is available with use of Ridge Cap Shingles for decoration purpose. Available in several styles and watts. 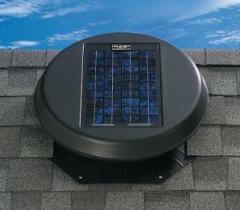 A mechanical solar powered roof attic exhaust vent installed in roof deck, no electric needed. Covering made of flexible material, which may be pre-formed to a shape, used to prevent dust, dirt, water, etc., from around a bathroom pipe penetration from roof. Also known as a plumbing boot or pipe flashing. We do not offer the plastic option due to its poor performance. 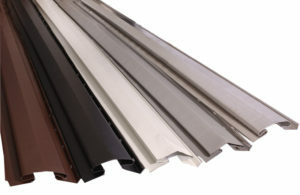 Ask us about upgrading to color matching roof options. Available in Brown, White, Black, and Mill Finish. Also available in several style and sizes. A gooseneck (or goose neck) is an angled pipe fitting covering used to prevent water around a duct or kitchen pipe penetration from roof. Its name comes how the bend in the vent is like the bend in a gooses’ neck and is designed with a screen to help prevent rodents. Available in galvanized mill finish or copper finish metal. 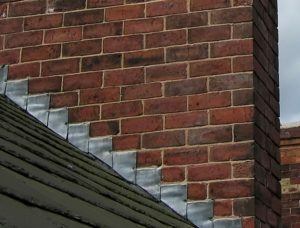 A metal flashing made of individual pieces of metal used at the intersection of a wall or chimney and a sloping roof. Each piece is installed individually overlapping the stepping up the wall with the horizontal edge complimenting the lines of any brickwork exposed. Available in galvanized aluminum and copper. 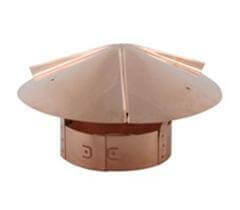 A chimney cap or rain cap is a rain cover on top of a chimney flue designed to keep out rain. a device to improve the light wind of a chimney, by presenting a protected exit opening and prevent downward drafts into the chimney. 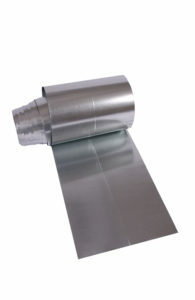 It will also help prevent invading rodents and will help protect the roof from burning embers. Custom Chimney Caps are available. 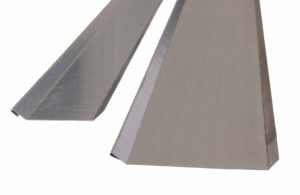 Typically made from a metal in a preformed or roll style. Preformed designs are typically used for metal or tile roof coverings. Other valley flashing can consist of impervious material installed to prevent the passage of water into a structure from a joint or as part of a weather resistant barrier. Available in galvanized mill finish or copper finish metal; Can also be framed in and roof covering system installed with flashing. Flashing metal along the eaves of roof to help protect the underlying materials. Available in White, Mill Finish, Beige, Gray, Brown, and Black. Roofing material or covering applied over the hip and ridge of a roof. 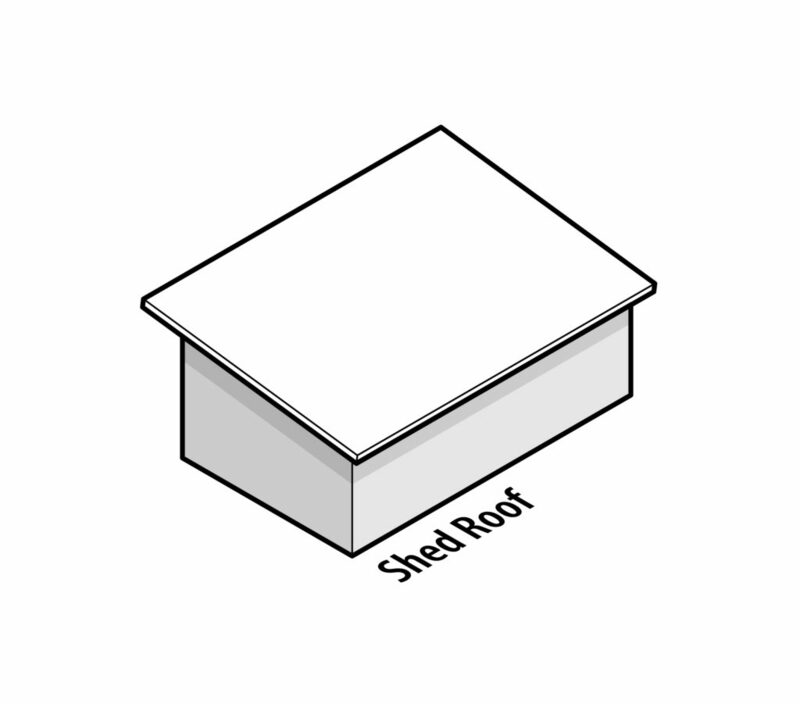 A structural component of the roof of a building. The deck must be capable of safely supporting the design and live loads, including the weight of the roof systems, and the additional live loads required by the governing building codes. Decks are either non-combustible (corrugated metal, concrete, or gypsum) or combustible (wood plank or wood sheathing), and provide the substrate to which the roofing or waterproofing system is applied. 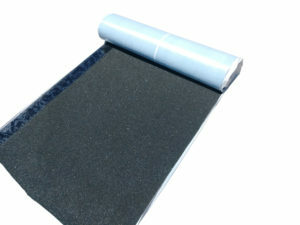 An asphalt-saturated or synthetic underlayment sheet material (may be self-adhering) installed between the roof deck and the roof system. 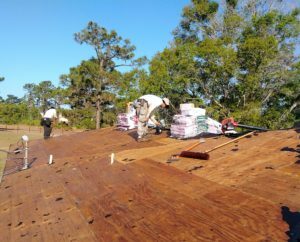 Underlayment is primarily used to separate the roof covering from the roof deck, to shed water, and to provide secondary weather protection for the roof area of the building. 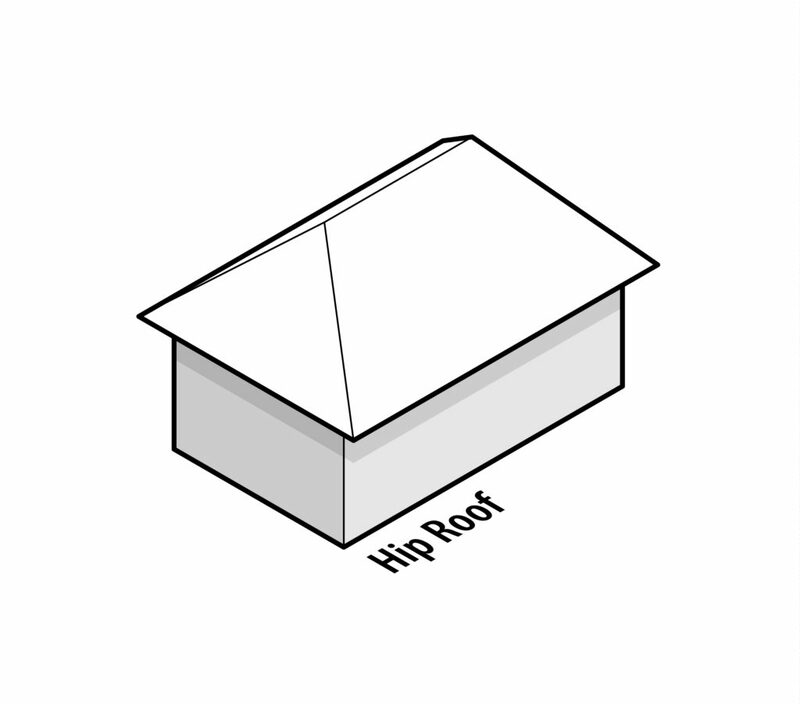 A vertical roof trim located at the perimeter of a building. It can border the low-slope roof system that waterproofs the interior portions of the building. 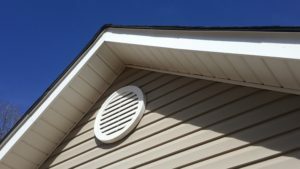 Fascia is typically a wood board covering the joint between the roof and the eaves. Fascia Board Covering is usually aluminum or plastic that helps provide a protective and decorative covering to exposed Fascia Board. 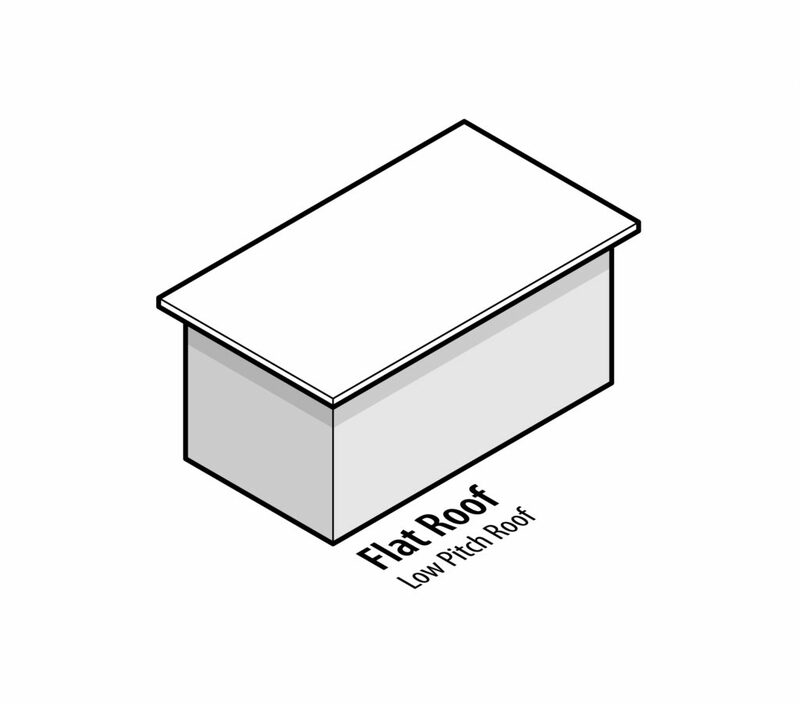 A rafter is one of a series of sloped structural members that extend from the ridge or hip to the wall plate, downslope perimeter or eave, and that are designed to support the roof deck and its associated loads. Typically made of wood or metal. Available in a galvanized metal, aluminum, or copper metal. The covering piece on top of a wall which is exposed to the weather, usually made of metal, masonry, or stone. Used to cover or shield the upper edges of the membrane base flashing; wall flashing can also be used to cover the top of different building components, such as columns or parapet walls. It is preferably sloped to shed water back onto the roof. Available in galvanized metal, aluminum, or copper metal. An opening in the wall of a building through which water can drain from a floor or flat roof. 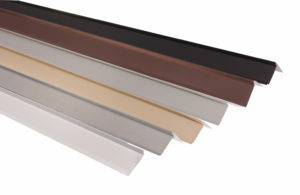 Metal gutters available in several colors. A channeled component installed along the downslope perimeter of a roof for water run-off away from the roof to drains or downspouts. Comes in several shapes with screening attached on the inside, a louvered design, and are in the front of the gable roof near the top and are meant to allow air flow through the gable roof. Can be a decorative exterior item. Electric fans can be attached to them as well. Available in Shingle, Metal, Tile, Membrane, or Waterproof Coating. The exterior roof cover or skin of the roof assembly that is installed over the roof underlayment. A small shed roof projecting from the gable end of the larger, main roof area or wall area, typically in an arched curved. Formed metal sheeting secured on or into a wall, curb, pipe, rooftop unit, or other surface, to cover and to help prevent water from migrating behind the base flashing. 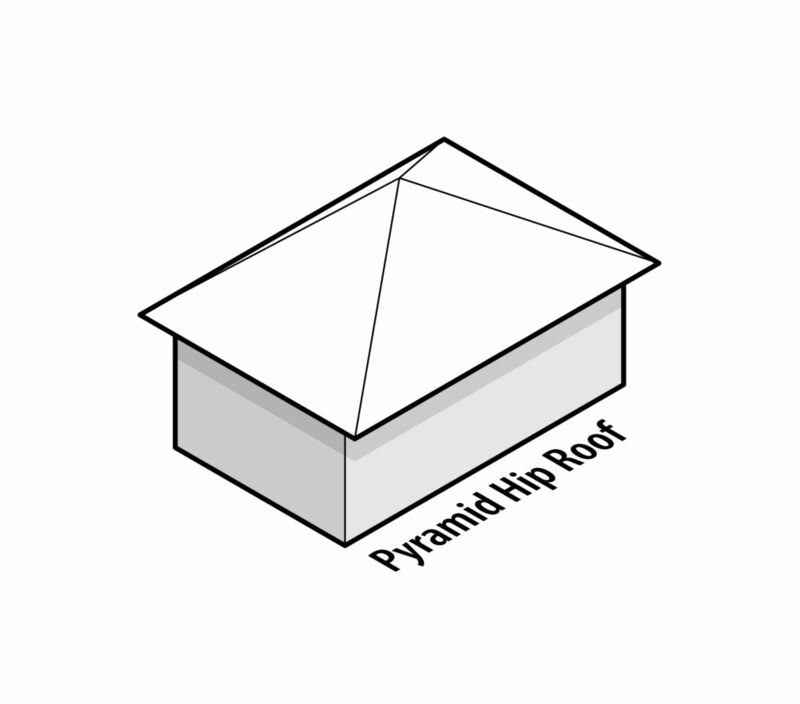 A raised member used to support roof penetrations, such as skylights, mechanical equipment, hatches, etc., above the level of the roof surface. Commonly made of wood, metal, or plastic. Curb is dependent on type of Skylight used. Not all Skylights require a Curb. 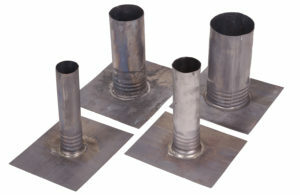 A component used to direct water from a through-wall scupper to a downspout. Available in several styles, colors, and material types. The enclosed intake ventilation installed underside of the exterior overhang section of roof eave. 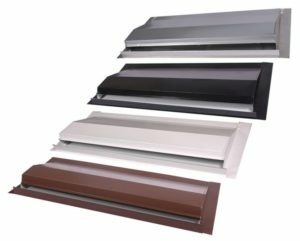 Flashing commonly made of metal, plastic, or cap sheet; used to weatherproof or seal the roof system edges at perimeters, penetrations, walls, expansion joints, valley, drains, chimney and other places where the roof covering is interrupted or terminated. Philly flashing is shown.